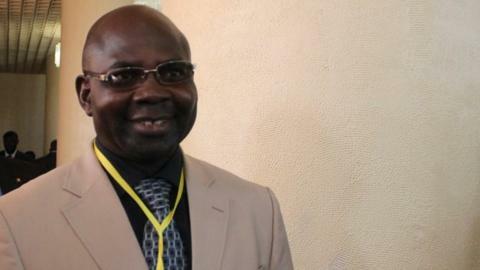 New Cameroon Football Federation (Fecafoot) president Tombi A Roko Sidiki has vowed to unite the body and restore his country's sporting pride. Sidiki was elected on Monday and will take over from the Fifa-appointed Normalisation Committee that has run Fecafoot since July 2013. "We must all sit together and talk if we want to rebuild," he told BBC Sport. "I will bring everybody to the project to work together to make Cameroonians proud of the football we all love." By successfully holding elections on Monday, Cameroon met a Fifa deadline to avoid a ban from world football. And Sidiki has been quick to make a start on healing the divisions that have threatened Fecafoot and Cameroonian football. He reached out to former international goalkeeper Joseph-Antoine Bell, a vocal critic of the Cameroonian game who failed in his bid to stand as a presidential candidate, to work with the new Fecafoot. "I would call on those who nursed ambitions in different sectors with contradicting views, Joseph Bell Antoine among them, to collaborate because football is made up of 11 players but requires teamwork. "Nobody would be left aside but they are free to accept the hand of fellowship or not - and we welcome constructive criticism that would help us advance." As part of an 11-point agenda, Sidiki revealed he would ensure there is development of infrastructure in regions that would not benefit from the 2019 Nations Cup, as well a plan to construct new Fecafoot offices. The 52-year-old also intends to place an emphasis on youth football and develop an programme of of social responsibility that would apply particularly to former footballers.